Hello cool weather! It’s so nice to have you back! With temperatures dipping we felt it was our duty to find out what cocktails you should be sipping this fall. 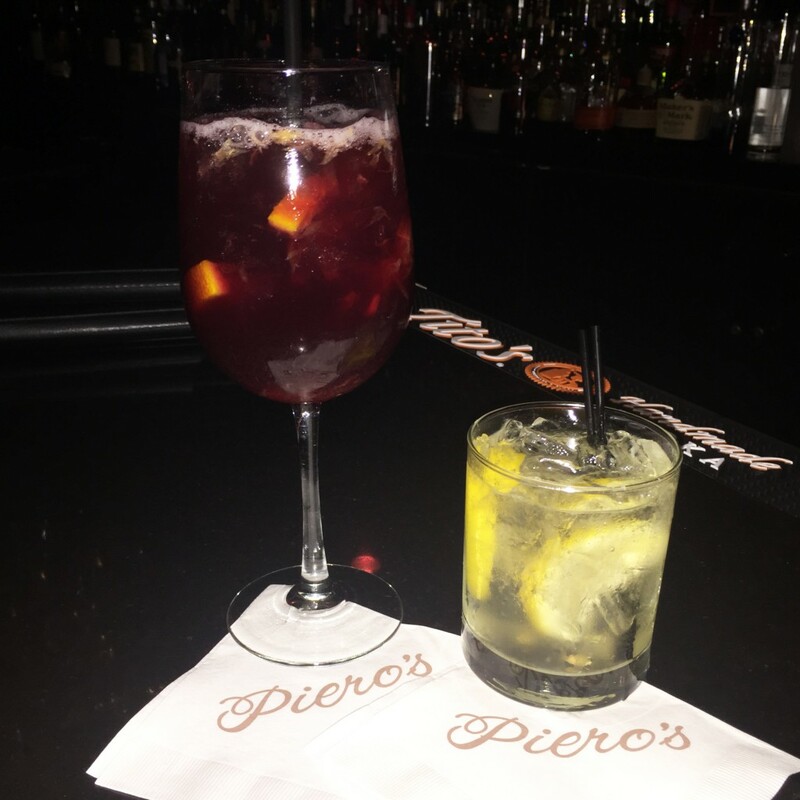 We had our bartender Bernie concoct his favorites for us and trust us, you’ll want to give these a try! First up, the Wine Punch. A beautifully crafted and “just sweet enough” cocktail, this punch is sure to be a favorite among many. What all does this drink include? We told you, it’s beautiful. Now what should you pair with such a drink? Bernie recommends our wonderful cheesecake dessert. Done and done. Secondly, we introduce to you the Elderflower Spritz, which is now one of our favorites! Don’t let the name fool you as this cocktail has only a hint of sweetness and is remarkably refreshing. You’ll most likely enjoy a few! What’s in this masterpiece?